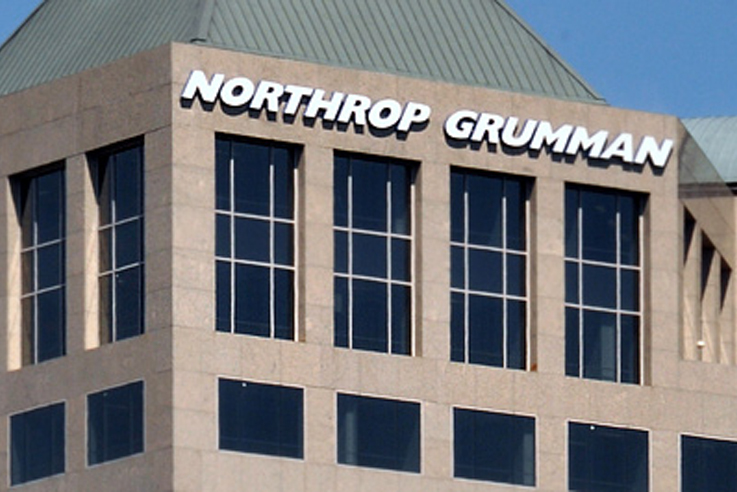 Northrop Grumman intends to use the net proceeds of the offering, together with cash on hand, to finance Northrop Grumman’s previously announced acquisition of Orbital ATK, Inc. (the “Orbital ATK Acquisition”) and to pay related fees and expenses. If the Orbital ATK Acquisition is not consummated on or prior to Dec. 17, 2018, or if the merger agreement relating to the Orbital ATK Acquisition is terminated prior to such date, then, in either case, Northrop Grumman will be required to redeem the 2020 Notes, 2022 Notes, 2025 Notes and 2047 Notes in a special mandatory redemption. If the Orbital ATK Acquisition is not consummated, Northrop Grumman expects to use the net proceeds from the offering of the 2028 Notes for general corporate purposes, including debt repayment, share repurchases, pension plan funding, acquisitions and working capital. The 2028 Notes will not be subject to a special mandatory redemption. The offering is expected to close on Oct. 13, 2017, subject to the satisfaction of customary closing conditions. When available, copies of the prospectus supplement and the accompanying base prospectus related to the offering may be obtained by calling J.P. Morgan Securities LLC collect at (212) 834-4533 , Credit Suisse Securities (USA) LLC at (800) 221-1037 , Goldman Sachs & Co. LLC at (866) 471-2526 , and Wells Fargo Securities, LLC at (800) 645-3751 . A copy of these documents may also be obtained by visiting EDGAR on the Securities and Exchange Commission (“SEC”) website at www.sec.gov. The securities are being offered pursuant to an effective shelf registration statement previously filed with the SEC, and a prospectus supplement and accompanying prospectus filed with the SEC as part of the shelf registration statement. This communication may contain statements, other than statements of historical fact that constitute “forward-looking statements” within the meaning of the Private Securities Litigation Reform Act of 1995. Words such as “expect,” “intend,” “may,” “could,” “plan,” “project,” “forecast,” “believe,” “estimate,” “outlook,” “anticipate,” “trends,” “goals” and similar expressions generally identify these forward-looking statements. Forward-looking statements include, among other things, statements relating to Northrop Grumman’s future financial condition, results of operations and/or cash flows, expected benefits of the proposed acquisition, the timing of the proposed acquisition and financing the proposed acquisition. Forward-looking statements are based upon assumptions, expectations, plans and projections that Northrop Grumman believes to be reasonable when made, but which may change over time. These statements are not guarantees of future performance and inherently involve a wide range of risks and uncertainties that are difficult to predict. Specific risks that could cause actual results to differ materially from those expressed or implied in these forward-looking statements include, but are not limited to: those discussed in this communication, those identified under “Risk Factors” and other important factors disclosed in Northrop Grumman’s Annual Report on Form 10-K and from time to time in Northrop Grumman’s other filings with the SEC; the possibility that Orbital ATK stockholders may not approve the proposed acquisition; the possibility that the closing conditions of the proposed acquisition may not be satisfied; the possibility that regulatory approvals required for the proposed acquisition may not be obtained on acceptable terms, on the anticipated schedule, or at all; the possibility that long-term financing for the proposed acquisition may not be available on favorable terms, or at all; the risk that closing of the proposed acquisition may not occur or may be delayed, either as a result of litigation or otherwise; the occurrence of an event that could give rise to termination of the proposed acquisition; the risk that stockholder litigation in connection with the proposed acquisition may affect the timing or occurrence of the proposed acquisition or result in significant costs of defense, indemnification and liability; the possibility that anticipated benefits of the proposed acquisition may not be realized or may take longer to realize than expected; the possibility that costs related to Northrop Grumman’s integration of Orbital ATK’s operations may be greater than expected and/or that revenues following the proposed acquisition may be lower than expected; the effect of the transaction on the ability of Northrop Grumman and Orbital ATK to retain customers and retain and hire key personnel and maintain relationships with their suppliers and customers, including the U.S. Government; responses from customers and competitors to the proposed acquisition; the possibility that Northrop Grumman’s business or Orbital ATK’s business may be disrupted due to transaction-related uncertainty; the risk that the proposed acquisition may distract Northrop Grumman’s management from other important matters; the impact of legislative, regulatory and competitive changes; results from the proposed acquisition different than those anticipated; and the other risks and uncertainties detailed in Orbital ATK’s filings, including its Annual Report on Form 10-K, with the SEC. You are urged to consider the limitations on, and risks associated with, forward-looking statements and not unduly rely on the forward-looking statements including the accuracy thereof. Forward-looking statements are based on information, plans and estimates as of the date they are made and there may be other factors that may cause actual results to differ materially from these forward-looking statements. Northrop Grumman undertakes no obligation to publicly update or revise any forward-looking statements, whether as a result of new information, subsequent events or otherwise, except as required by applicable law. This communication may be deemed to be solicitation material in respect of the proposed acquisition of Orbital ATK by Northrop Grumman. In connection with the proposed acquisition, Orbital ATK filed a preliminary proxy statement with the SEC on October 2, 2017. Following the filing of a definitive proxy statement with the SEC, Orbital ATK will mail the definitive proxy statement and a proxy card to each stockholder entitled to vote at the special meeting relating to the proposed acquisition. Stockholders of Orbital ATK are urged to read these materials (including any amendments or supplements thereto) and any other relevant documents Orbital ATK will file with the SEC in connection with the proposed acquisition when such documents become available, including Orbital ATK’s definitive proxy statement, because they will contain important information about the proposed acquisition. Investors and security holders are able to obtain the documents (once available) free of charge at the SEC’s web site, http://www.sec.gov, and from Orbital ATK by going to its investor relations web site at www.orbitalatk.com/investors. Northrop Grumman and its directors and executive officers, and Orbital ATK and its directors and executive officers, may be deemed to be participants in the solicitation of proxies from the holders of Orbital ATK shares of common stock in respect of the proposed acquisition. Information about the directors and executive officers of Northrop Grumman is set forth in the proxy statement for Northrop Grumman’s 2017 Annual Meeting of Shareholders, which was filed with the SEC on March 31, 2017. Information about the directors and executive officers of Orbital ATK is set forth in the proxy statement for Orbital ATK’s 2017 Annual Meeting of Stockholders, which was filed with the SEC on June 23, 2017. Information regarding the identity of the potential participants, and their direct or indirect interests in the proposed acquisition, by security holdings or otherwise, is set forth in the preliminary proxy statement relating to the proposed acquisition and will be set forth in the definitive proxy statement and other materials to be filed with the SEC in connection with the proposed acquisition.